Yes, crowd-funding is all the hype. New platforms emerge every now and then that help artists or causes gain support to promote their work or cause. 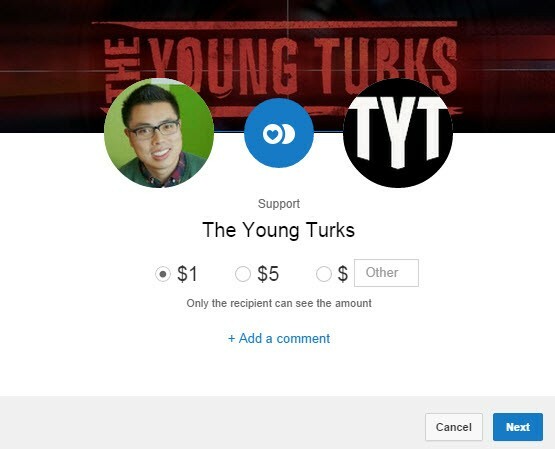 YouTube is the latest to join the trend, by allowing fans to donate to their favourite channels. Lots of people have turned to video-blogging to earn their living and YouTube acknowledges that with its latest move. More specifically, “Fan Funding” -as it’s called- allows users to donate directly to the channels they like most. If you’re a content creator you can manually add this option to your channel. The button will appear on top of your video and there are predefined presets of $1, $5 or custom amount for fans to donate. The new functionality is using the Google Wallet system, which means that you have to enter the details of your credit card to your Google account prior to making your contribution. Donate $1, $5 or as much as you want to your favourite #Youtube channel. Another interesting point is that this new feature works across both mobile and web. However, it’s only available in the United States, Australia, Japan and Mexico for now. Google will keep 5% of your donation plus $0.22 for each successful transaction – although sources suggest that this amount may vary for each country. Ιn addition, with each donation, you can also add your comment, thus increasing visibility of the channel – and attracting even more fans and contributions. Will Youtube succeed in becoming a major #crowdfunding platform? What do you think? Do you think that YouTube can become a leading crowdfunding platform?